Started a mini project of my own while taking the Arnold course over at FXPHD. 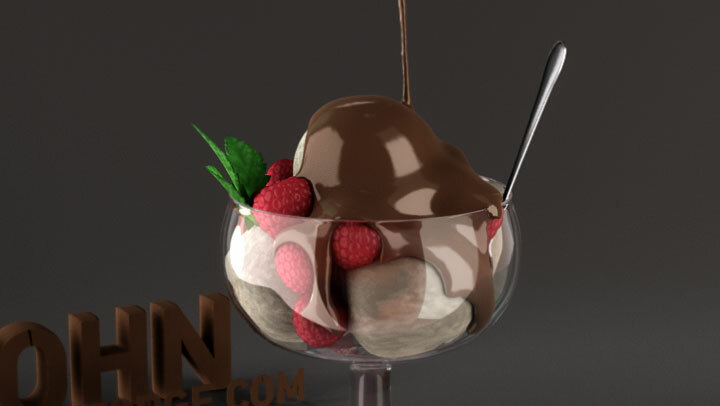 The brief is to create a nice food shot of chocolate syrup been poured slowly over icecream. The project will be focusing on lighting, shading and rendering with Arnold’s MtoA. Here are some work in progress images and videos. I’ll be using Maya, zbrush, realflow and nuke for the spot. near final of the shot with final shaders in place. So far the scene is using a wide variety of materials, glass, metal, SSS for berries, procedural for icecream.